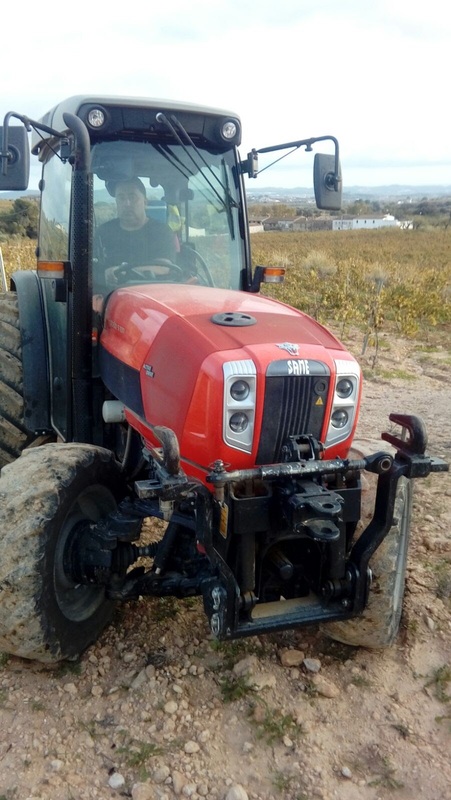 In FIMA 2016, the Same Frutteto3 ActiveDrive was launched in Spain. 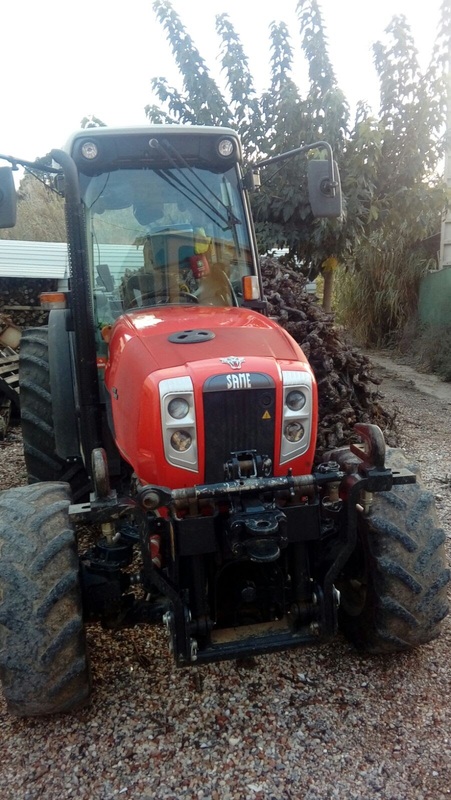 This tractor has the new double wishbone suspension system in front axle like similar suspension system used in high power tractors. 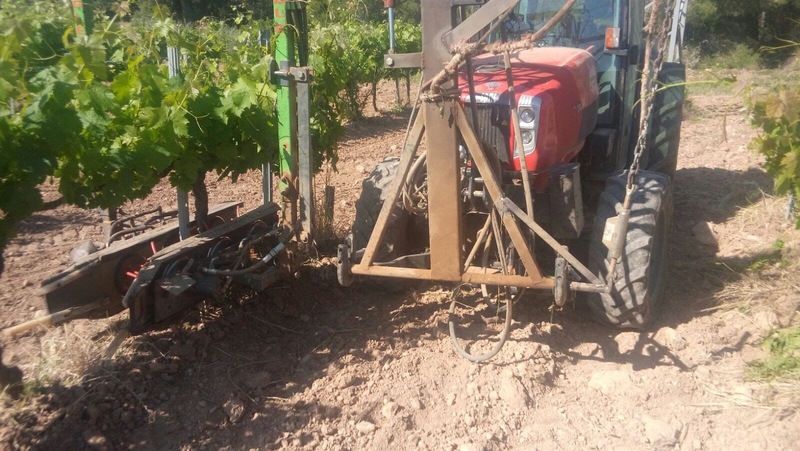 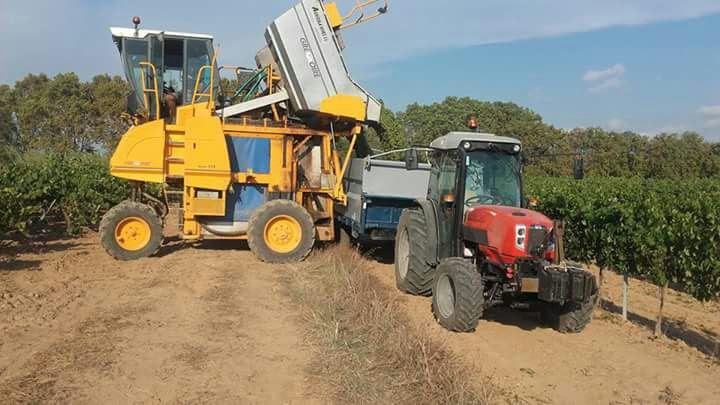 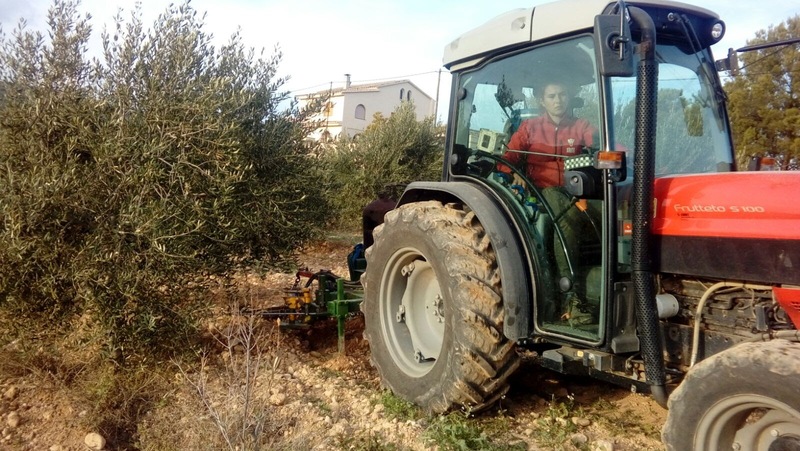 When our friends Pere and Lina sent us a few pictures of their Same Frutteto3 ActiveDrive and farm (vineyards, olive trees and cereals) in Castellví de la Marca (Barcelona), we decided to publish a post about this fantastic narrow tractor and specially about this new double wishbone suspension system. 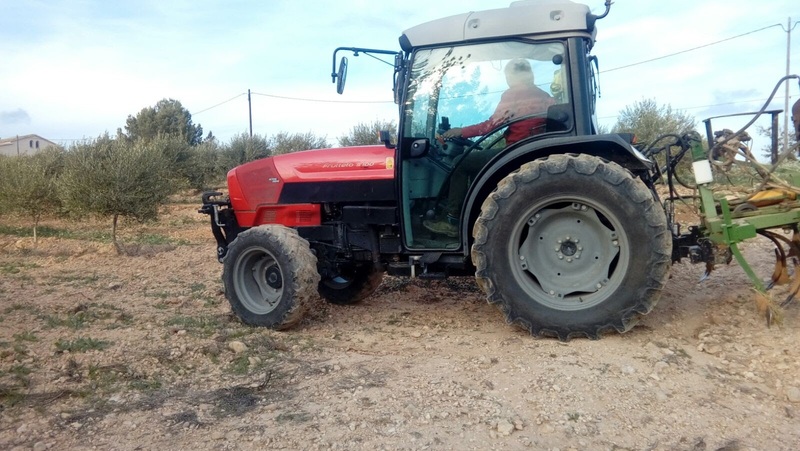 The new design, developed by SDF R&D Center and installed on SAME Frutteto3 tractors, tries to improve user’s vital aspects such as security, comfort and maneuverability. 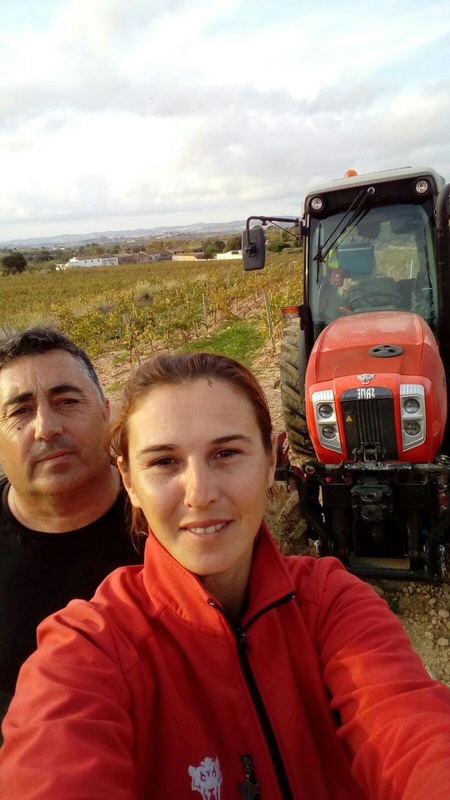 Pere and Lina told us that this suspension system greatly improves the tractor behavior of both: on the road and in the field. 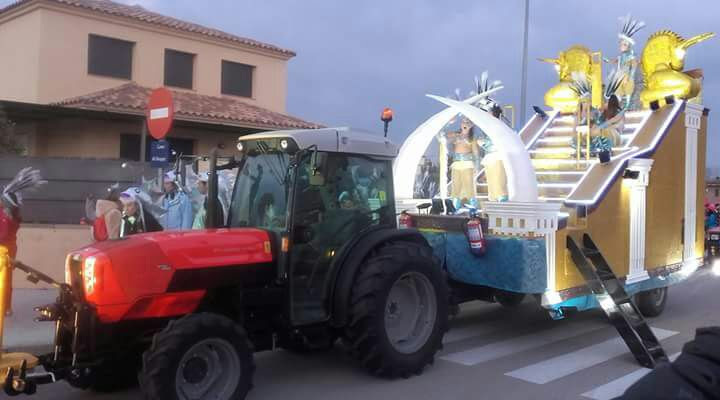 They are very proud of their Same Frutteto3 ActiveDrive. 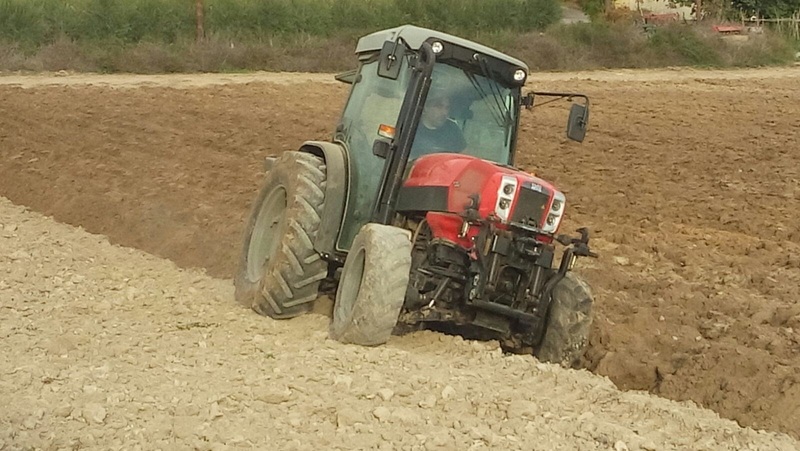 And even, they are thinking of buying another one. 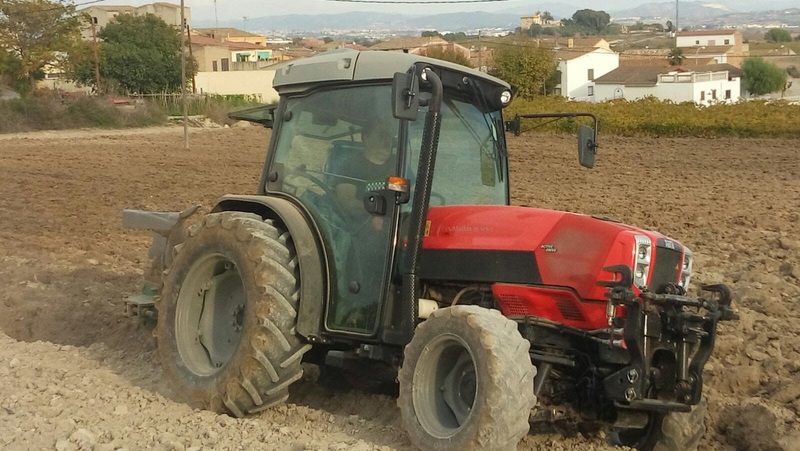 In Spain, the narrow tractor market is really important, so Same wants to offer a differentiating product. 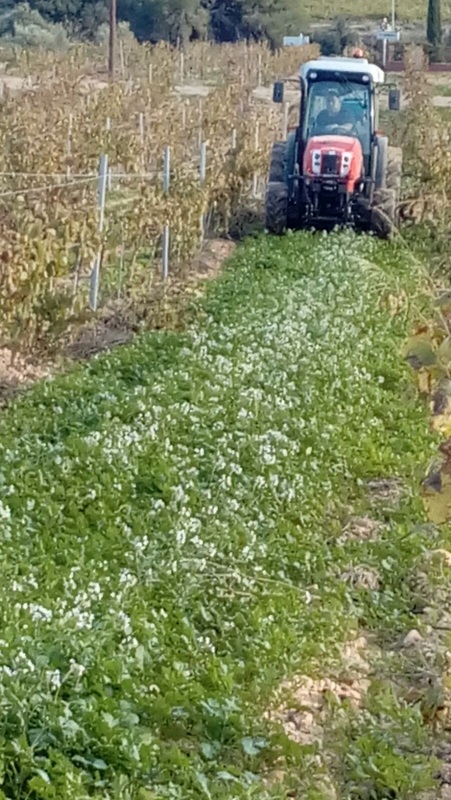 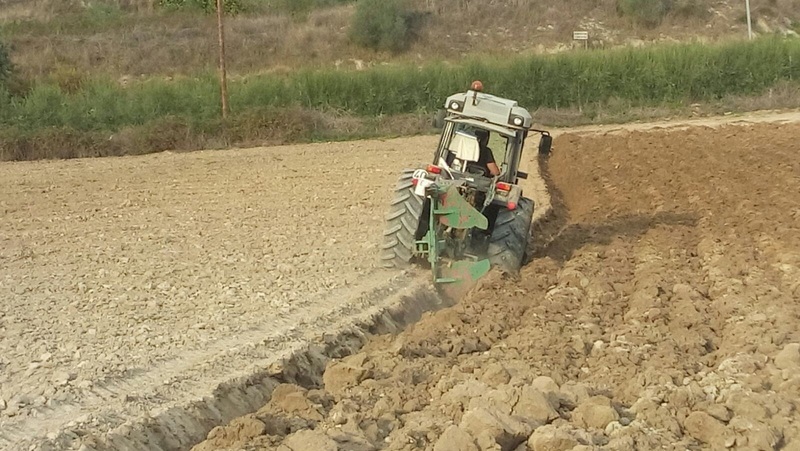 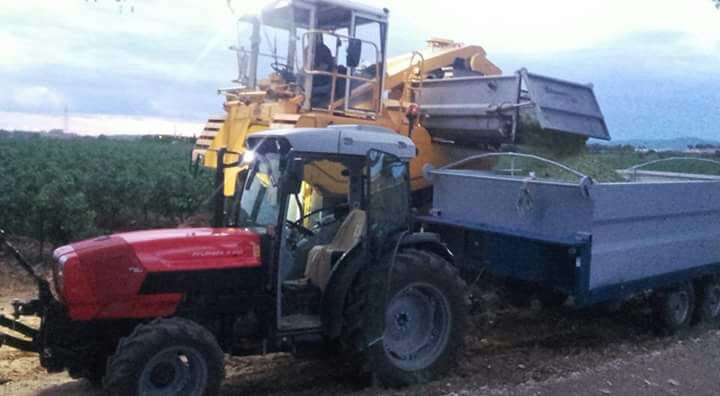 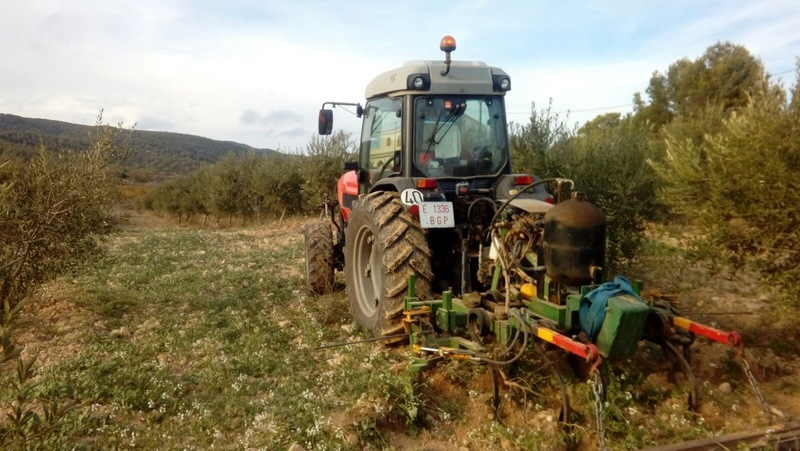 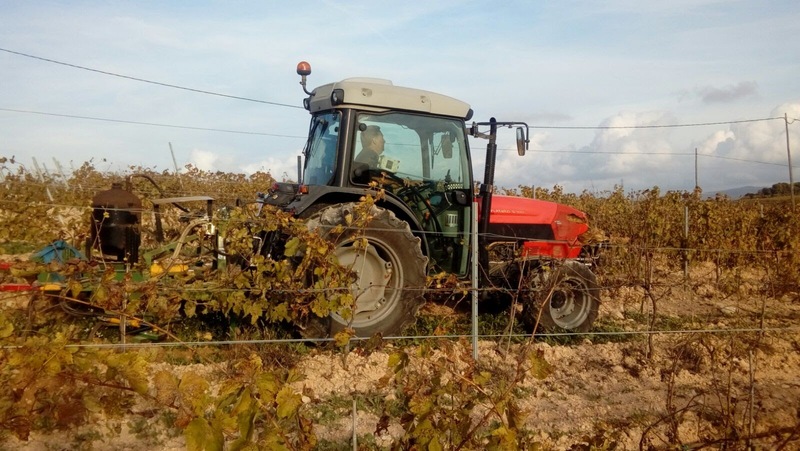 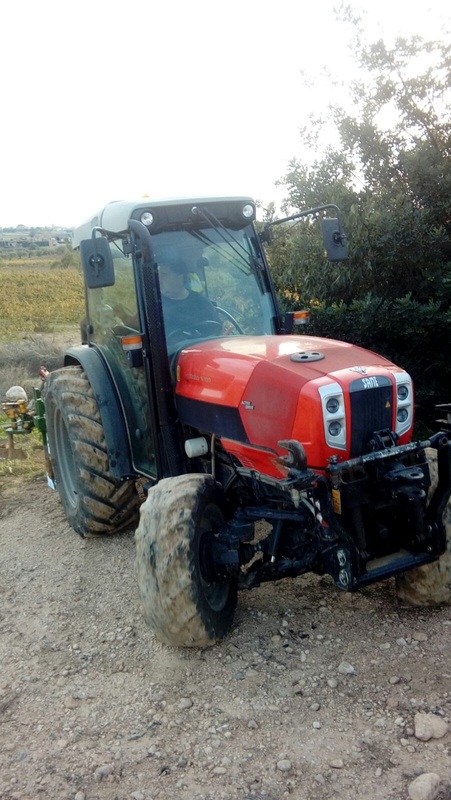 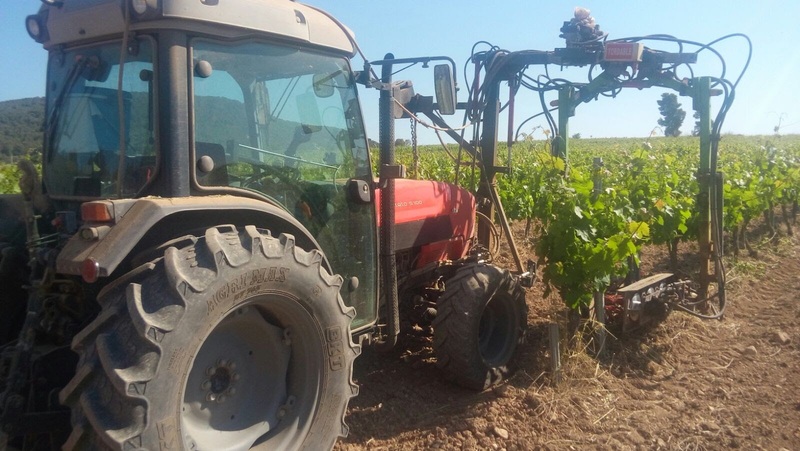 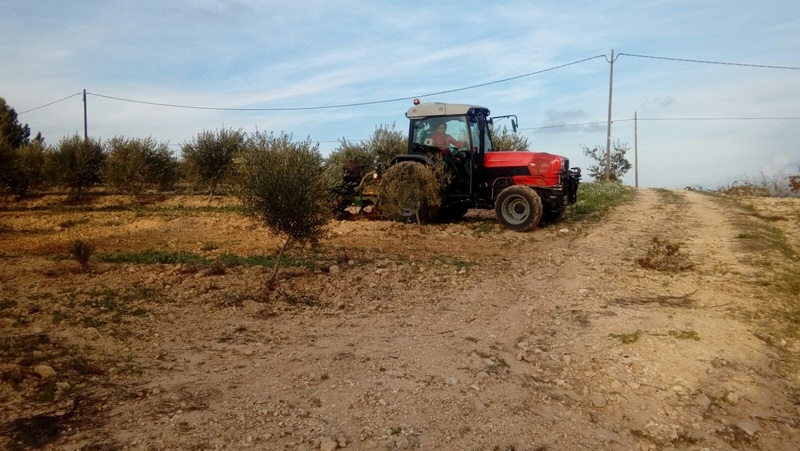 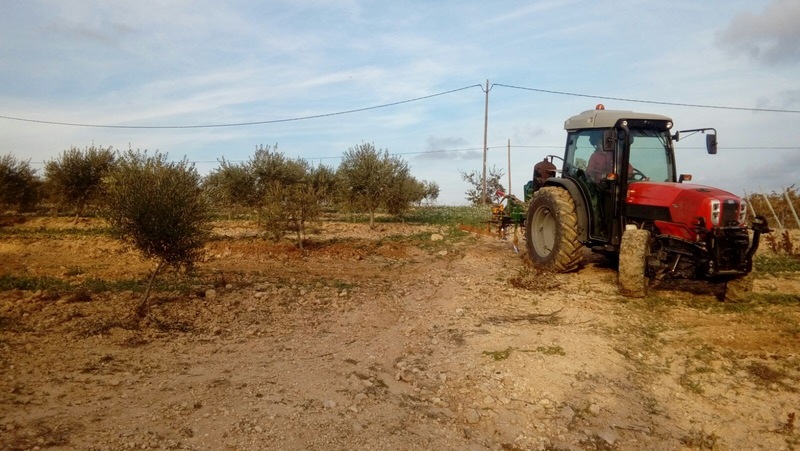 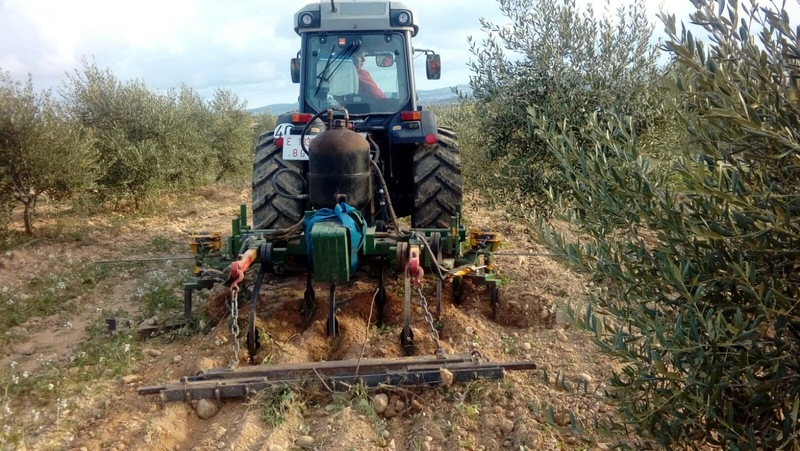 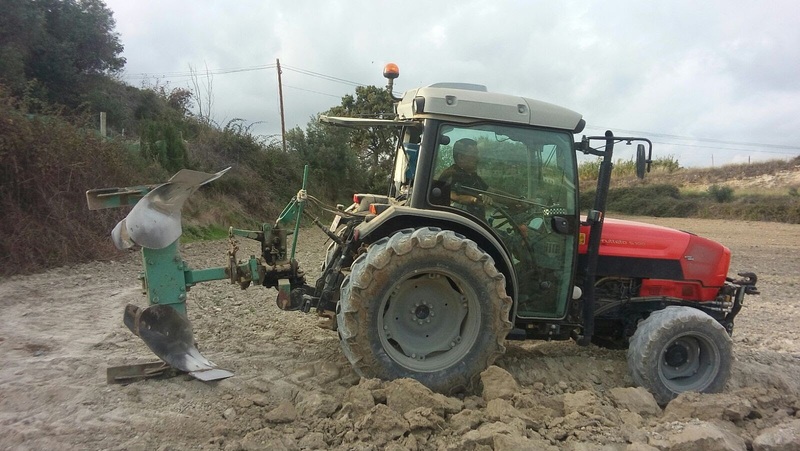 This type of specialist tractor needs to maintain its smallest height in order to work on orchard, reduced track in order to work on vineyards, and also needs maximum maneuverability without losing its stability. 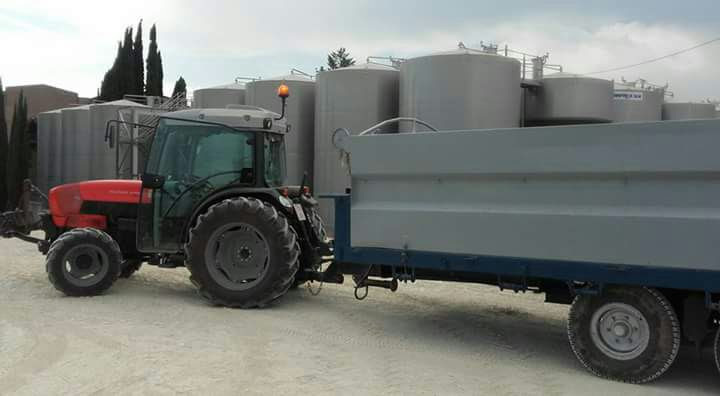 A suspended live axle (solid or beam axle) is the most employed solution for this market segment, but it’s not perfect. 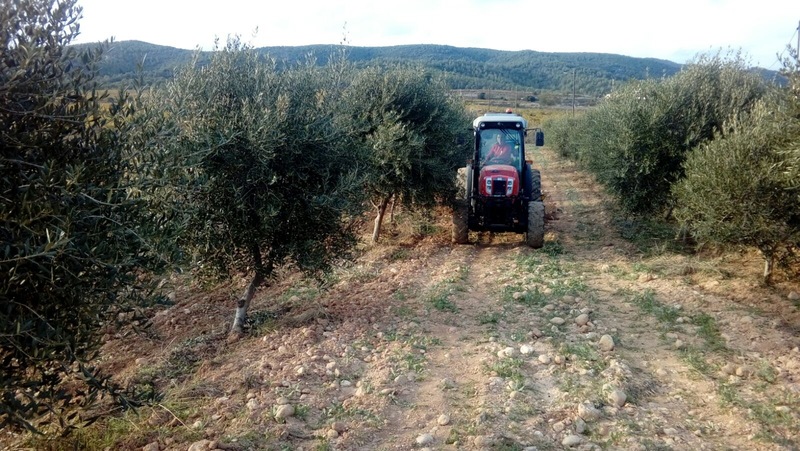 This solution excessively raises the vehicle’s height, losing the advantages it had for orchard customers and stability on high slope terrains due to the rising of its center of gravity. 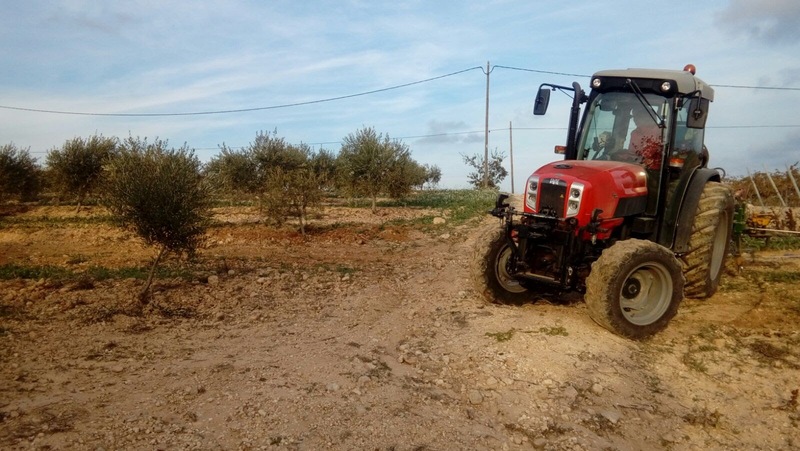 Independent suspension system has the advantage of not having to raise the tractor’s hood, improving therefore stability since it maintains or even lowers the center of gravity, comparing it to solid axle systems. 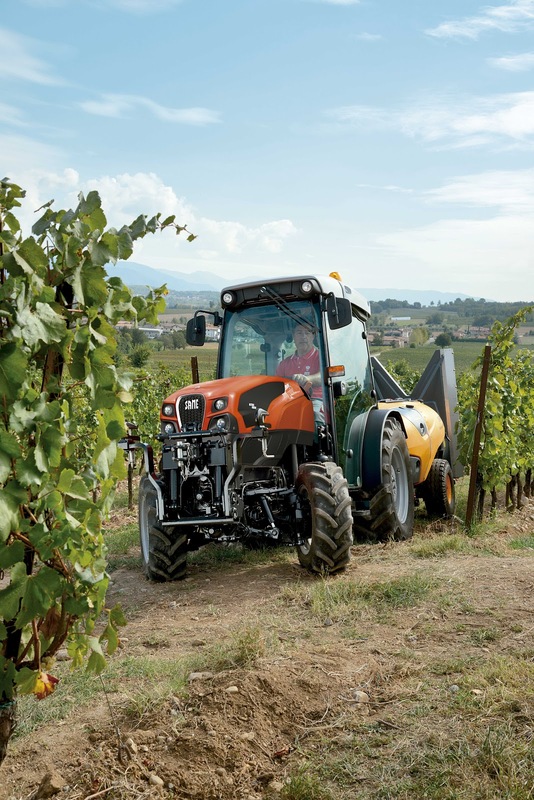 In addition, makes it easier for the wheels to take bigger turning angles (60º), without the tractor’s body or hood interfering. 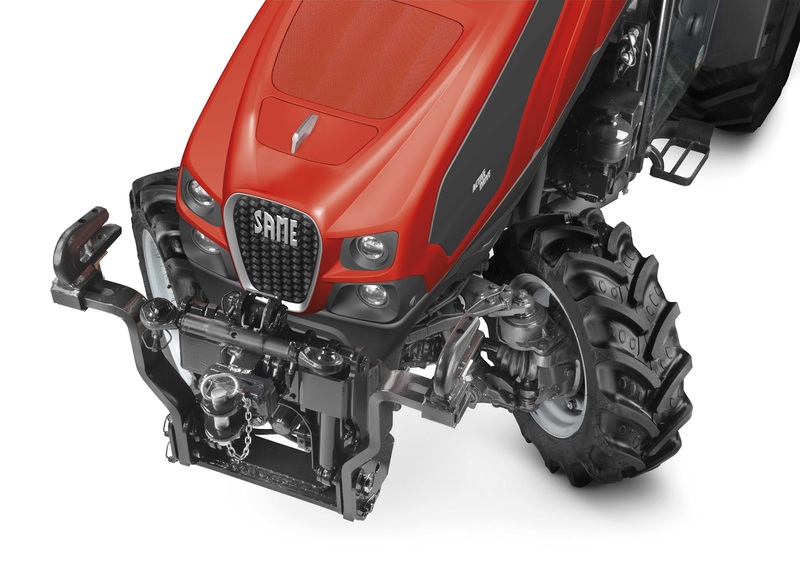 Suspension’s mechanical components: Each wheel’s suspension system, is built up with two wishbone (upper and lower), and a hydro-pneumatic actuator bumper. 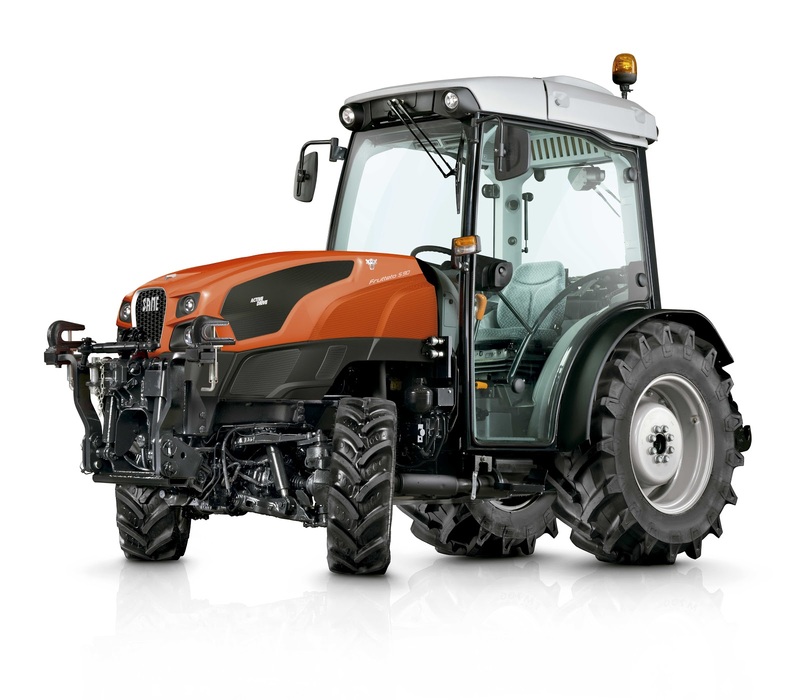 Suspension’s electronic components: the electronic system will gather information from different sensors, such as: wheel speed, wheel steering angle, stroke, brake pedal pressure, and suspension’s activation button. 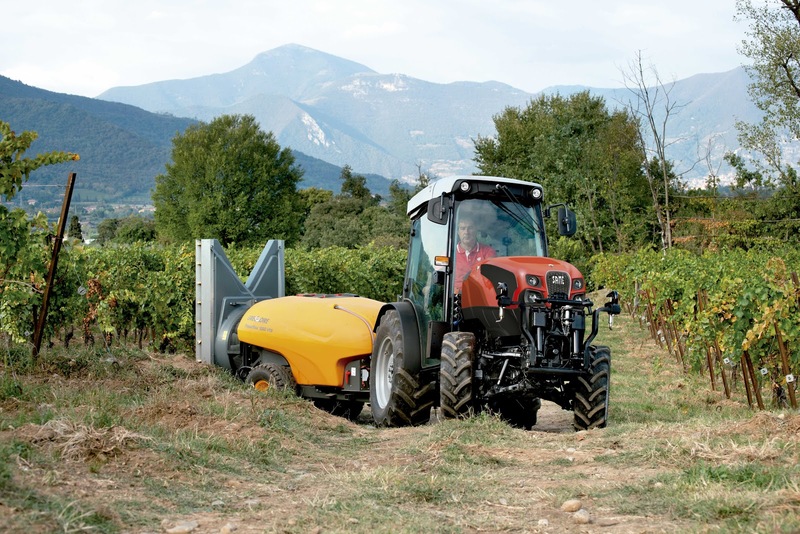 Tractor’s leveling system: Independent suspension design lets the tractor absorb bigger irregularities, transmitting less effort to the tractor’s structure. 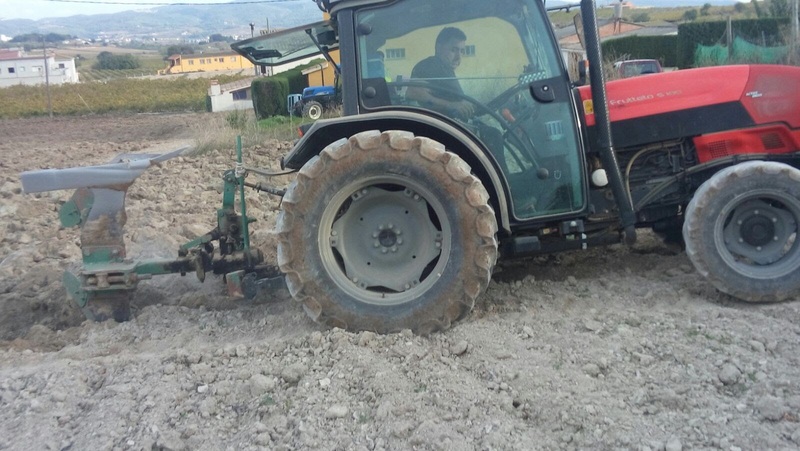 In addition, the suspension’s characteristics make it possible for both wheels to work maintaining total contact with the ground and gives a better response on irregularities. 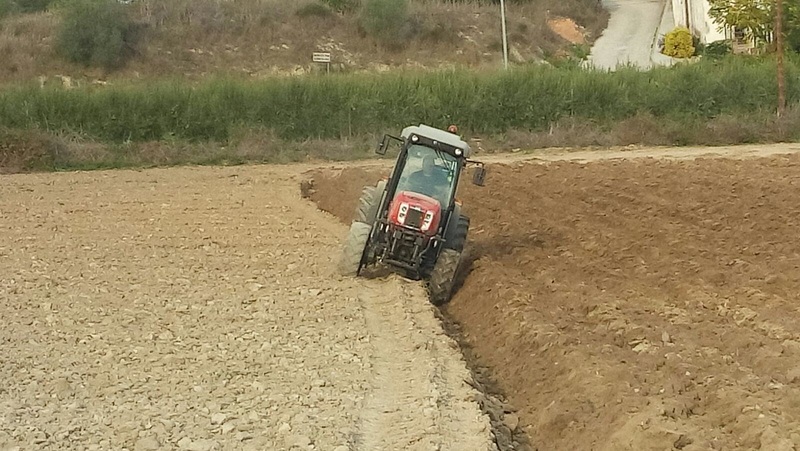 It absorbs efforts in case of abrupt braking, and prevent from excessive nodding off. 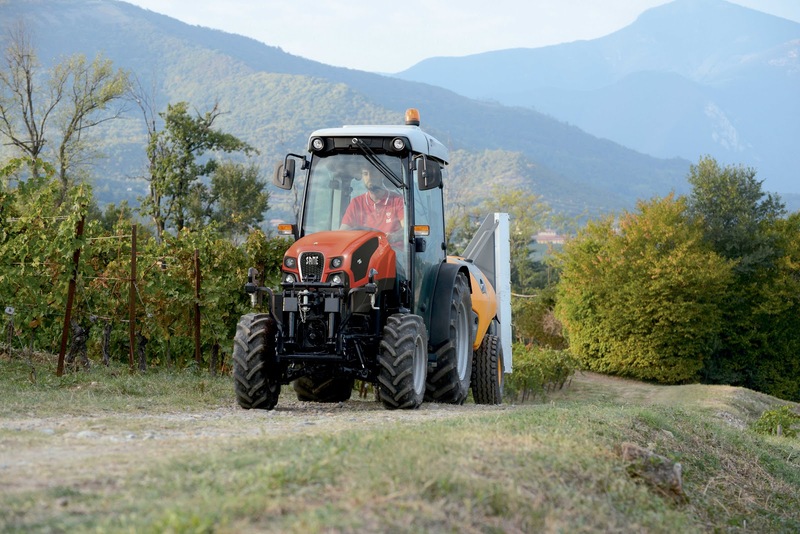 Traction control: Thanks to the intelligent connection with the differential blocking, it’s possible for the system to recover traction totally when the system detects that one of the wheels has lost grip (speed and wheel spin sensors). 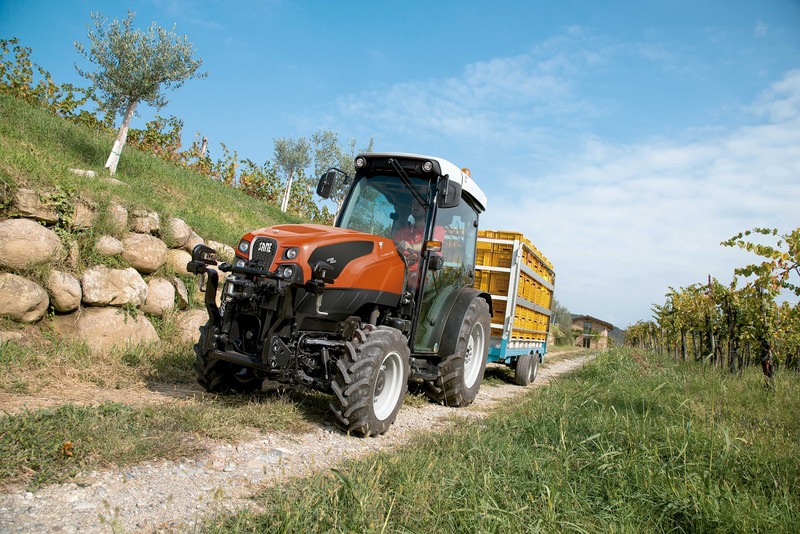 Bumpers control: the tractor’s electronic system analyzes every parameter in order to manage in the best way the suspension, on every possible scenario and the system will make an adaptable damping to avoid “rebound” effects.